Which Mermaid Tail Should You Choose? Having Trouble Choosing the Perfect Mermaid Tail for You? 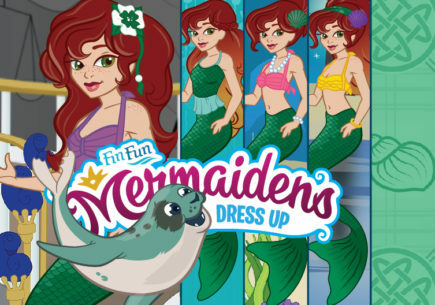 Here at FinFun we get fans asking which mermaid tail they should choose all the time. We decided to create a place where you can ask each other for advice and discuss your favorite mermaid tails, colors, fabrics, etc. Please, keep your comments friendly and helpful and we’ll all have a lot of fun discussing our favorite topic: Mermaid Tails! Hi! I ordered the Aussie Green mermaid fin on the 23rd. I can’t wait til it arrives!!! YAY!!! My best friend is doing mermaid shows with me and her name is mermaid coral! She got the coral reef tails. I love mermaid tails so much some time I be thinking mermaid tails be real in video bye love tail. bad you didn’t wait now Destiny’s tropical sunrise tail is here! I love mermaids and i would love if I can get one of these realistic Mermaid Tails i would fall to the floor. When I get up, I would start to scream. I would put it on right away and jump in to the closest body of water and swim that entire day. Kaylin, I think you should get Aussie green.I like it because it has green and blue together! I can’t decide between Aussie Green and Artic Blue!!!!!!!!!! Help me!!!!!!!! Just decide by looking at the colors! Like green, get the Aussie Green. Like blue, get the Arctic Blue. Yeah… I know it’s not that easy. Should I get Aussie green or the mermaidens blue one? I can’t decide. I have the purple sky and the rainbow one they don’t sell anymore. Aussie Green looks really realistic. It’s darker than they advertise, though! Aussie Green, the blue doesn’t stand out that much in water. Should I get the Caribbean blue or the mermaidens blue? I can’t decide! My friend is getting Aussie green. We swim together a lot. Would the mermaidens one or Caribbean blue look better? The mermaiden’s Arctic Blue looks very realistic, and the Caribbean Blue’s colors blend well and look great underwater. It would be easier to tell you what color you should get if we knew a little more about your appearance. Help me pick a tail! I already have purple sky, and I don’t really want a pink. Also, my friend doesn’t want me to get Aussie Green because she has one. Tell me what you you’re eye color is and hair color. What color hair do you have? If it’s light get Aussie green. If dark get blue. But green stands out so I would do green!! Aussie green it’s amazing ! You said “Kaylin” I KNEW u were Kayla from SSG! I am ordering Artic Blue and I luv it! You should get it! Please reply I would love your help! Ava, I think you would look best in golden scale. Fin fun mermaid 1st it said it was 299.00 and now it says it’s 146.80 which one is it? We don’t have any products that cost $299. Can you please clarify your question so we can help? I just got the Caribbean Sunset Tail, and it’s beautiful. The colors are so pretty underwater, and the tail looks so realistic. I reccomend this tail to anybody. 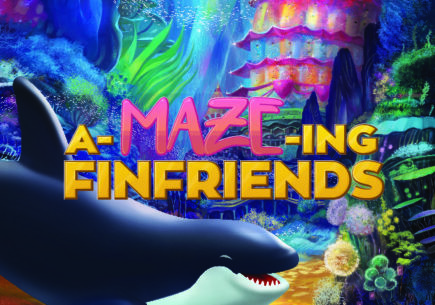 Where on fin fun? And if you put it on shopping cart will it buy it becuase my dad doesn’t want to buy it just yet so I don’t ruin it right away by wearing it and having my 3 year old sister mess around with it. I’m so exited I can’t choose between Serena’s rainbow reef,rio red,or Aussie green! 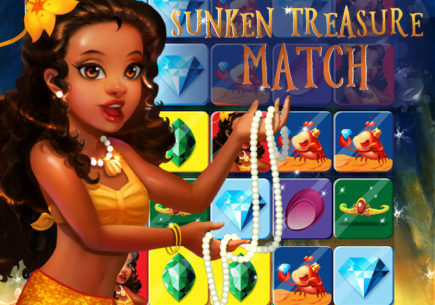 Get rainbow reef so you can have all the colors! Just asking, when do the ‘women’s’ sizes come out? I’m wanting a tail with a monofin sooooo bad but as soon that my family agreed to buy it, it was so popular it went out of stock and I’m hoping to see my size be in stock again soon…. Which color are you looking to get? Thanks for replying and I was just looking for the arctic blue mermaid tail in WXS. Sooooo sorry it’s late in the night. We should have some back in stock sometime next week. Thanks! Super helpful of you! I’ll be checking here again next week then. 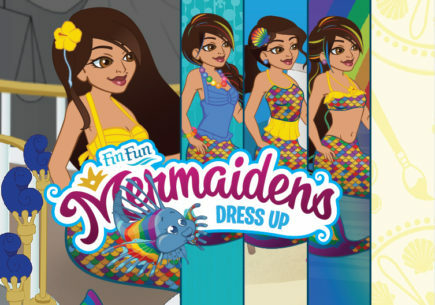 The best way to find out the exact cost is to shop our website: finfunmermaid.com. Put the things you want in your shopping cart, put in your shipping address and it will tell you how much the total cost would be. Then you can show your dad. Hope this helps! Thanks! I love Asian Magenta! It is so realistic and more beautiful than the rest! Hey guys ! Just a question , I have shortish Carmel hair blue/gray eyes and am slightly chubby , just slightly which tail would look the best on me ? I suggest the Caribbean Blue, because that was my first tail and we look quite alike. I would do diamond shimmer, purple, or orange. Probably purple because it will look good with your hair!! There are SO many that will look good on you! The one I would recommend are Diamond Shimmer, Caribbean Blue, Aussie Green, or Golden Scale. Mermaid Macy is right about the Caribbean Blue. Diamond Shimmer will make your eyes look beautiful, Silver will look good on you too. Aussie Green is good because it will contrast well with your skin and hair. Golden scale will look very realistic on you. I got aussie green and I love it ! Ava, I think I could see you in the aussie green tail. I really would like to get the Aussie Green Tail! It is so pretty! Maybe even a matching one with my American Girl Doll! I got a tail ! the caribbean sunset is so pretty!! Caribbeabn blue can i have dat?? Same here! I did a ton of babysitting and extra chores, and now I have enough money to buy it! All I have to do is wait until the 30th… when my summer is almost over! Aussie Green’s the one for you. The one I believe would look the best on you is Aussie Green, Alice. It’ll bring out your eyes. Besides, some mermaids are known for their fair skin and eyes the color of the sea. I have Caribbean blue, and I can’t be any more happy with my tail! I’ve had it since September and only now, many months later, is it starting to stretch and fade. Just recently, I purchased diamond shimmer and It’s so pretty! I agree that there are so many colors you cannot even see the silver when this tail is underwater in the sunlight! It really is like a sparkling diamond, but even more so! I hope to get a tail and monofin soon. Please someone help me pick! P.S. I’m a huge girly girl! SOME ONE HELP ME PLEASE!!!!!!! How much is shipping for the tail,monofin,and a bikini all together? You should so totally get purple. the way you explain your personality. P.S. I’m a tomb boy. Orange would look super great!!! I think Orange might be really pretty for you. If you can’t deside, blue looks great on anyone! Just pick your favorite color! 🙂 I’m a tomboy too, and my favorite colors are Red and Green! me too!!!!!!! Aussie green is awesome for tomboys like me!!!!!!! I like Aussie green!! Green is my favorite color!! I love to swim like a mermaid, it’s so much fun!! 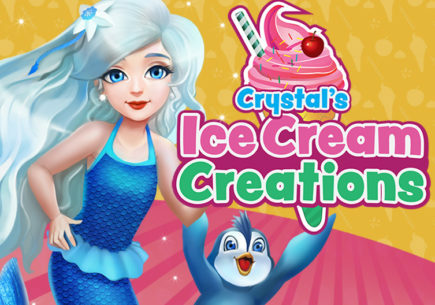 I like the Zoey’s Aussie Green mermaid tail, It’s so cool. It has my favorite colors! OMG I really want that Aussie Green mermaid tail! Hello there, SGB433! I think that Arctic Blue and Caribbean Blue might be good choices for you. Blue is not normally viewed as a girly color, and it will make you look like a mysterious mercreature, in and out of the water. If you don’t like either of those, you could always go for the Asian Magenta or the Purple Sky for almost the same effect, but a little more tropical. Always make the choice you’ll be happiest with! I think the diamond shimmer would look great on you!! Hi. I’m a real mermaid and my friend wants to swim with me. She loves pink and green and has dark brown hair. Her skin is really pale and she is short. Please respond! I will answer your questions! What should I get? I have brown hair hazel eyes and tan skin. I want a tail that has Scales and a bottom fin like the artic blue! I’m a HUGE girly girl and I LOVE rainbows because rainbow dash from My Little Pony! What tail should I get? Well you should do a color that stands out like Aussie green, diamond shimmer, or orange!! I did Aussie green and I happy because I’m kind of a tomboy but I like purple:( but that’s ok!! You know I really AM a mermaid, right? I an not fat at all I am as skinny as a stick! I agree with you Hannah I LOVE the Aussie green BUT I’m having trouble choosing! Thanks for the comment Hannah! OK, I seriously Am a mermaid but I want to pick this for my friend. Which should I pick Aussie Green or Asian Magenta? Your a real mermaid? How did you become one? A real mermaid? What’s your power? What is your favorite part about being a mermaid? You would look good in the midnight reef one. You’d look good in article blue or Aussie green. Darker colors would bring out your eyes. If you chose the Malibu Pink tail you would look like a beautiful tropical mermaid. If you chose the Arctic Blue tail you will look mystical and mysterious. Which would you rather be? what about green, Adventurous, Exciting, fast!! I love to swim and I have gotten a tale before but it got ripped. I have one now but can’t open it yet and I live in evergreen with no pool or hot tub, and I have pets! I need advice on how to take care of it, can you help me? 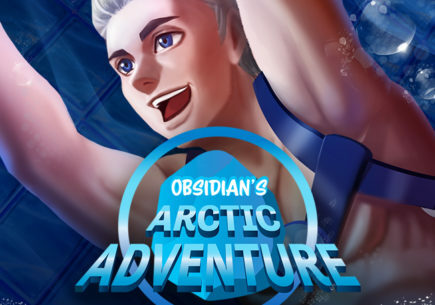 I think that you should get artic blue because blue makes everyone look great! but its your choice! May I suggest the new tale from Brynn? Aussie green all the way! I have it, and it looks SOOO realistic! Zoeys aussie green mermaid tail would fit anyone’s style. I need advice on what tail color to get. What color should I get? Please help me! Hello fin fun mermaid tail lovers! I am seeking the perfect mermaid tail for me. I really can’t choose between rainbow reef,rio red, Asia magenta,Aussie green,artic blue,malibue pink,or all of the tails that are scaled and have the realistic fin! I really need the information by December 1st! ,2014!!! THANK YOU FOR READING!!!!! PLUSE I AM A HUGE GIRLY GIRL! Need help on my color. My personality is fun and outgoing with a mysterious imaginable side. I need help on my color! I am between artic blue, caribbean blue, caribbean sunset and asian magenta! Carribeien Sunset, Rio Red and Assie Green are my favorites! I wish the Carribeien Sunset had the scales. I want a tail that starts out orange and ends red at the fin! I can deside between red or green! Red and Green are my favorite colors! Ah! What to do! They are all so beautiful! And get our insurance and out geisinger health plan back,but please comment below if I win 1 but please still comment below if I don’t. 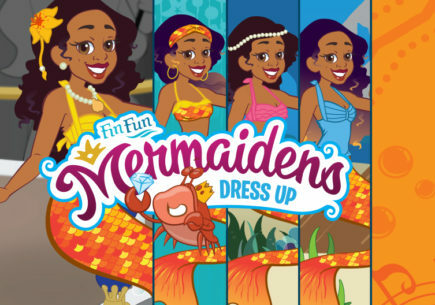 Thank you for reading this finfunmermaid! Finfunmermaid,I was wandering if it is possible if you can make me a Caribbean pink tide mermaid tail and bikini? I have blue/grey eyes and dark brown hair, my skin is really pale. I don’t know hat would look best on me. Please reply. I am a Tomboyish person so please no pinks. 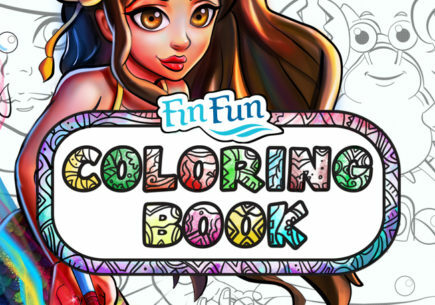 Fin fun mermaid I have a question, does the rainbow reef mermaid tail shine under water in the sun? Thank you! i think i need help picking my colour to. i have brown hair,brown eyes and a small chubby face. But please don’t say pink or black. First, my brother suggests a turtle shell in the same style of the shark fin? Doesn’t make much sense but anyways I had a question for someone with a tail (i get one in a few days): how much fabric is above your feet when you have the tail on? I was kinda worried about my feet sticking out since I can’t get a monofin, so do your feet stay covered well? Hi gals! I am a tomboy but am addicted to mermaids. I am going to get a tail,mono fin,bathing suit, and everything else because I vacuumed my nanas basement. I am 4.9 or for ft nine inches, have dirty londe hair that goes about an inch or two or three below my shoulders, round face, skinny and am in fourth grade, have any ideas? You sound like me. I have an Aussie green tail and I love it! Ps I’m super girly. Pls help! you should get the yellow tail i have the sunset and magenta pink those are the best !!! !^_^ !!!!!!!!!!!!!!!!!!!!!!!!!!!!!!!!!!!!!!!!!!!!!!!!!!! I would suggest Aussie Green. You should get the celetic green . i promise i am soo sure of this.